What are some good places to volunteer abroad| IFRE volunteers? Find the best possible place to join a volunteer abroad program which suits your interests, style and budget with this essential guide. You’ve made the bold and daring decision to volunteer abroad- now the big question is, where? What are the most popular volunteer abroad places? Which part of the developing world offers the best opportunities that match your passion, while also offering a safe travel experience? Most of the countries which need volunteers are in Asia, Africa and Latin America. In this article, we will explain to you what are the most popular volunteer abroad places, even if they are suffering in areas such as poverty, poor education, lack of resources and environmental neglect. Perhaps you have always wanted to volunteer abroad in Southeast Asia, or maybe you’re a wildlife conservationist or highly passionate about fighting the AIDS epidemic, which would naturally draw you to the African continent. Our write-up of each country will give you the information you need to select the perfect volunteer abroad places for you. 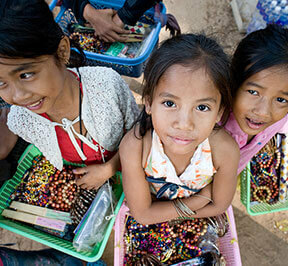 When wondering about what are the most popular volunteer abroad places, Cambodia definitely comes to mind! It is located on the southern portion of the Indochina Peninsula in Southeast Asia. Once known as the Khmer Empire, Cambodia is a Theravada Buddhist country ornamented with exotic temples, stunning rural scenery and tropical islands off the southern coast. Its enormous ancient temple complex Angkor Wat is known as the "8th wonder of the world." The big cultural cities are Phnom Penn, the capital, and also Siem Reap, although Cambodia is mainly a rural country with agriculture dominating its financial sector. While budding industries such as tourism, construction and textiles are drawing foreign investment, Cambodia still suffers a comparatively high level of poverty compared to its neighboring countries. Majority of its population suffer from hunger, disease and poor education. Nevertheless, Cambodians are famous for being friendly, optimistic and welcoming, making it a popular destination for volunteer abroad. The most popular volunteer abroad projects in Cambodia are teaching English in NGO schools or orphanages, NGO work, child care and special needs care. If you love tropical beach and wildlife, there are also some marine conservation projects in the southern coastal beaches and islands. 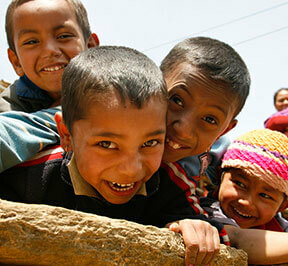 Nepal is another famous answer if you are pondering about what are the most popular volunteer abroad places. It is rich in both cultural heritage and magnificent natural panoramas. It is a famous sacred pilgrimage destination for both Buddhist and Hindus. Nepal is home to 8 of the world’s ten tallest mountains including Mount Everest, the highest point on earth. It’s a developing country with many ethnic groups, languages, dialects and settlements. The capital city of Kathmandu is a hub of temples, elegant architecture and many festivals throughout the year. The Nepalese people are warm-hearted and friendly. Volunteer abroad in Nepal is an opportunity to boost education and address health concerns in both its Kathmandu Valley and scenic rural villages, and to help rebuild and revitalize the country after the devastating earthquake in April, 2015. Popular volunteer abroad opportunities in Nepal include teaching English to Buddhist monks, orphanage care, medical/healthcare projects, teaching English in rural schools and nature conservation projects. China is always one of the first choices when wondering about what are the most popular volunteer abroad places to go to. It has the largest population in the world and offers many temples, ruins and palaces from ancient dynasties scattered. While the Great Wall and other wonders will take you far back in history, so will its traditional dances and Buddhist rituals. At the same time, China has a flourishing economy, thrusting into modernity at a furious speed. While its economic growth has been very positive over the years, China suffers from rises in poverty, pollution and abandoned children. Panda bears and other endangered species have decreased in numbers. 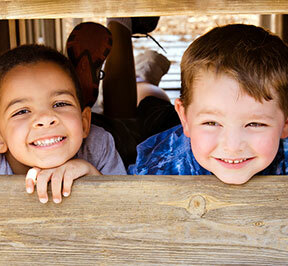 You can help boy choosing to volunteer abroad in China by working with orphanages and disadvantaged children, animal conservation projects, schools and more. India, a blend of indigenous languages, culture and religion, definitely comes to mind when thinking about what are the most popular volunteer abroad places. The landscape is extensive, with the Indian Ocean along the south coast, the Arabian Sea on the southwest and much diversity of flora and fauna throughout. The capital city of Delhi is similar to an eastern version of Rome, with relics of ancient empires scattered about. 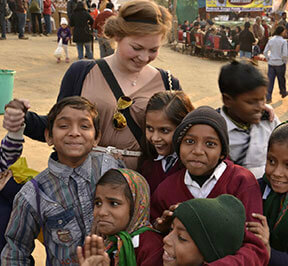 Volunteer abroad in India is an opportunity to improve the lives of huge portions of the population, while having an amazing cultural experience. India is the second most populous country in the world with a population of 1.2 billion, yet 45% of its citizens live below the poverty line and it has the highest illiteracy rate in the world. Opportunities to volunteer abroad in India include orphanage work, teaching English, women’s empowerment and health, medical and HIV/AIDS related projects. Still wondering about what are the most popular volunteer abroad places? Sri Lanka is a small island nation with a variety of ethnic groups, languages and many ancient Buddhist temples and ruins. It is also a beautiful display of natural beauty, with rainforest, a variety of wildlife and the sacred city of Anuradhapura. Sri Lanka has many world heritage sites crammed into one small portion of land, yet with over 2000 years of chronicled civilization. Long years of warfare has shattered Sri Lanka’s economy, and this developing nation needs volunteers in areas such as childcare, animal conservation and education. If you volunteer abroad in Sri Lanka, you can enjoy the rich experience of Buddhist culture, beautiful beaches and fascinating wildlife. 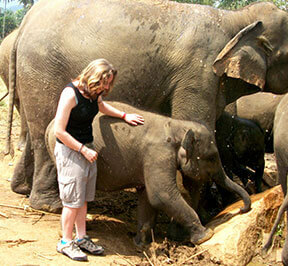 There is the opportunity to teach English to Buddhist monks, or care for injured elephants! Other volunteer opportunities in Sri Lanka include orphanage work, rural community development, turtle conservation, temple renovation, elderly care and medical assistance. 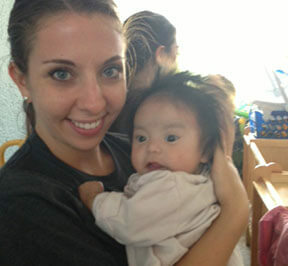 If you are wondering what are the most popular volunteer abroad placesin Southeast Asia, Thailand would be the answer! Thailand is famed for tropical beaches, royal palaces, ancient ruins, beautiful Buddhist temples, welcoming people and mouth-watering food. A Buddhist country that’s ruled by a monarchy, Thailand is one of the fastest developing countries in Southeast Asia and its economy is heavily influenced by agriculture and tourism. If you choose to volunteer abroad in Thailand, the projects are endless and you are making the choice to donate your time and energy to one of the most exotic and welcoming countries. You will be caring for an elephant farming village or taking care of kids in a tribal community! You can also select projects for teaching English, childcare, child development, nursing, medical and volunteering with Buddhist monks. Ghana, like many countries in Africa, is known for a variety of wildlife, national forests and beautiful beaches along its coast. Ghana is a major exporter of oil, and is also well-known for its cocoa beans, music and celebrations. This country is a mixture of indigenous and also western influence, with English being the official. Ghana is one of the famous places for volunteer abroad as it is famed for being safe, peaceful and extremely democratic. Ghana is developing rapidly, yet the northern inhabitants of this country are subject to poverty, and face a lot of health issues and a lack of economic opportunities. Most of the volunteer abroad projects in Ghana strive towards helping to bridge the gap between the rich and poor, and they include teaching English in rural areas, HIV/AIDS projects, health/medical projects, orphanage care, agricultural work and construction and renovation. Wondering what are the most popular volunteer abroad places in Africa? Kenya would be one of your top picks! This country is known to many as the image of Africa with its savannas that witness herds of migrating wildlife and the beautiful beaches that dot its exotic Indian Ocean coast. It’s a famous safari destination, mainly due to the fame of the huge animal migration across the Masai Mara which takes place each year. Kenya has many indigenous tribes that hold strongly to their traditions. Kenya is a developing country that still suffers socially and economically, mainly due to the fact that its strong tourism industry and excellent educational system are not available to the poor majority of its population. 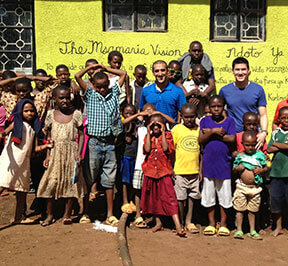 Volunteer abroad in Kenya to live amongst a nomadic tribe or perform community work in the harsh slums of Nairobi. Other volunteer abroad projects in Kenya include teaching English, animal conservation, medical projects, orphanage care, HIV/AIDS projects and community development. South Africa is the principal economic and commercial center for the African continent. A remarkably advanced country, South Africa offers a variety of both natural beauty and ethnic inheritance along its coastlines. You can find almost every type of tourist adventure in South Africa, from exciting safaris to fun cultural experiences in cities like Cape Town and Johannesburg. Much of the country still struggle to recover from years of social, economic and political isolation. Volunteer abroad in South Africa to offer love, compassion and assistance to those communities struggling below the poverty line. Popular volunteer abroad programs in South Africa also include orphanage care, teaching, healthcare, and sports projects with children in settlement areas. 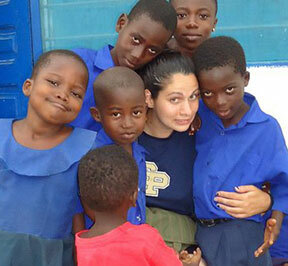 Wondering what are the most popular volunteer abroad places in Africa? Look no further than Tanzania! This country borders the Indian Ocean and is home to Kilimanjaro, Africa’s highest mountain. It’s the biggest country in East Africa and is famed for its vast wilderness regions, "big 5" game safari excursions, and tropical islands that’s gifted with Swahili culture. English and Swahili are the two official languages spoken in the country. While it is politically stable, Tanzania’s population suffers from extreme poverty, lack of good education and an HIV/AIDS issue that continues to devastate the Tanzanian people. 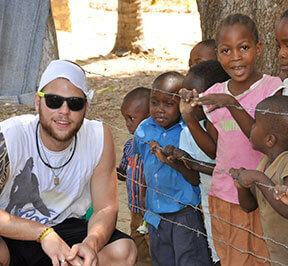 Tanzania is one of the best places to volunteer abroad with children. Other volunteer abroad projects in Tanzania are HIV/AIDS, medical, construction and community development in the tribal Maasai villages. Uganda is home to the tallest mountain range in Africa, the enormous Lake Victoria and a wealth of wildlife including endangered gorillas, chimpanzees and rare birds. The official languages of Uganda are Swahili and English. Uganda is sadly a very poor country that struggles from various socio-economic issues, especially due to the warfare and instability in the country’s recent history. Volunteer abroad in Uganda to make a huge difference in the lives of hundreds of people who are either abandoned or orphaned due to the rampant AIDS epidemic. Popular volunteer projects in Uganda are such as orphanage care, HIV/AIDS, health and medicine, teaching English, sports education, special needs and construction and renovation projects. Wondering what are the most popular volunteer abroad places in South America? Argentina would be one of your best choices! Argentina has the second largest economy in South America and the largest Spanish speaking population in the world. It is home to the famed Iguazu waterfalls, the glaciers of Patagonia, the highest peaks of the Andes Mountains and a wonderful platter of other natural indulgences. Volunteering in Argentina is allows you to help the lives of friendly people while doing good things for the environment. Volunteer abroad programs in Argentina include community projects, sports programs for kids, teaching English, medical/health projects, disabilities projects, elderly care, animal care and farming. Brazil is one of the countries that come to mind when pondering on what are the most popular volunteer abroad places in South America. Brazil has famous white sand beaches and the largest tropical rain forest in the world, with a rich ecosystem. Experience a diversity of festivities and culture in big cities like Sao Pauloor Rio de Janeiro. Brazil suffers from high unemployment rates, an unstable economy and poor living conditions in the slums of Rio de Janeiro and other disadvantaged areas throughout the country. Its natural environment needs to be conserved, predominantly the Amazon rainforest. 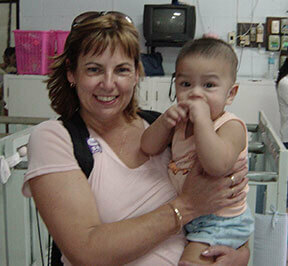 Volunteer abroad in Brazil to help the lives of children and poor communities. Popular volunteer abroad projects in Brazil include childcare, teaching, youth athletics, community development and endangered species’ conservation. Costa Rica offers captivating natural wonderland; lush jungles, forest trails leading to waterfalls, volcanoes, exciting hot springs and beautiful national parks. 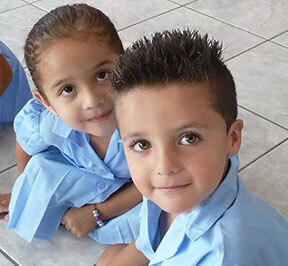 Costa Ricans are among the warmest and most easy-going people on earth. Costa Rica now has many flourishing industries including finance, pharmaceuticals and ecotourism. This is still a developing country with much social imbalance and people who can’t afford a good education. 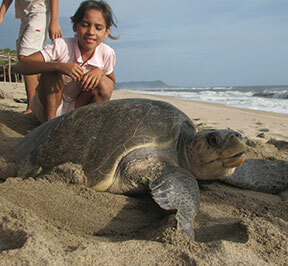 Volunteer abroad in Costa Rica to protect its land and animals – turtle conservation is hugely popular! Other popular volunteer abroad opportunities in Costa Rica include teaching English, childcare, school/orphanage construction, environmental conservation, child protective services projects, medical projects and elderly/nursing home projects. Ecuador houses the Amazon rainforest, beautiful Andean mountains and cloud forest trails and the famed Galápagos Islands. Ecuador straddles the equator and has an ethnically rich population; most people are "mestizos"- an ethnic blend from both the original Incan Empire and Spanish colonization. 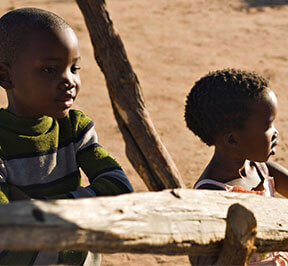 Even with its poverty decrease in recent years, many rural areas still lack good resources and proper education. There are many volunteer abroad programs in Quito, but you can also head to the Galapagos for a remarkable experience working with wildlife conservation. Popular volunteer projects in Ecuador include orphanage care, working with street children, teaching English in rural and urban schools, conservation, galapagos conservation and NGO work. Wondering what are the most popular volunteer abroad places in Central America? 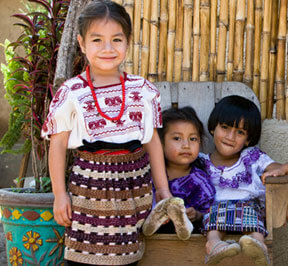 Guatemala boasts the largest and most diverse population in Central America. From the crumbling ruins of Antigua to the museums and historic buildings of Guatemala City, Guatemala is a natural paradise, with outstanding biodiversity and canyons, volcanoes, mountains and beaches to explore. People in rural areas struggle the most with poverty, malnutrition, discrimination and environmental degradation. Volunteer abroad in Guatemala to help this stunning country continue to progress and overcome its social and economic weaknesses. There are animal and water conservation projects, teaching and child or elderly care programs available. Other popular volunteer projects in Guatemala include coffee farm cooperatives, construction, healthcare, animal care and orphanage work. Mexico offers many cultural and historical indulgences, from Pyramids built by the Mayans to preserved Spanish colonial villages. It is the largest Spanish speaking country in the world, and has one of the biggest and most diverse economies. Mexicans are lively, friendly and incredibly hospitable. 40% of the Mexican population suffers from financial uncertainty in many areas as well as bad education, living conditions and lack access to good healthcare. Volunteer abroad in Mexico to work on a sustainable farming project with Mayan communities or offering childcare to street kids who have been abandoned or abused. There are also volunteer abroad opportunities to teach English, volunteer in orphanages, special education, sea turtle conservation and animal rights. Wondering what are the most popular volunteer abroad places in South America? Peru will not disappoint! Peru is well-known for the breath-taking Inca citadel of Machu Picchu, one of the 7 wonders of the world. Hike the Andes Mountains, and visit the surf beaches! Spanish is the official and mainly spoken language, although a number of Peruvians speak Quechua and other native languages. 36% of Peru’s population lives under the poverty line. 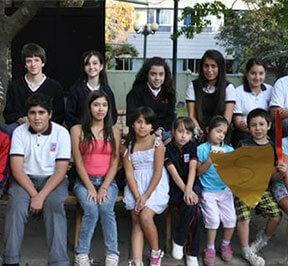 Volunteer abroad in Peru to lend a helping hand to children, communities and the environment. Many of the volunteer abroad projects in Peru are located in or near Cusco and include teaching English in rural schools, orphanage care, working with street children, animal care and healthcare projects. You can also choose to work on a jungle conservation project in the amazon.